This is what we're up to our necks in right now, lol! We’ll be offline until about Thursday of next week when our new internet will be hooked up…So we’ll see ya’ all then! 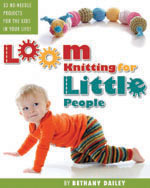 This entry was posted in Blogging, Life, Loom Knitting, Looming Patterns. Bookmark the permalink. Good luck with the move. Even in the midst of all that you have a fun looming surprise?? You are so creative. Your mind must never stop. I can’t wait to hear all the good news and the move and how the girls settle in with school.